The Sunday Times' Style supplement will stage its annual Big Fashion Sale on 19 November in collaboration with charity Smart Works. Last year, Style managed to raise £40,454 for Smart Works, which helps to get women back into the workplace. 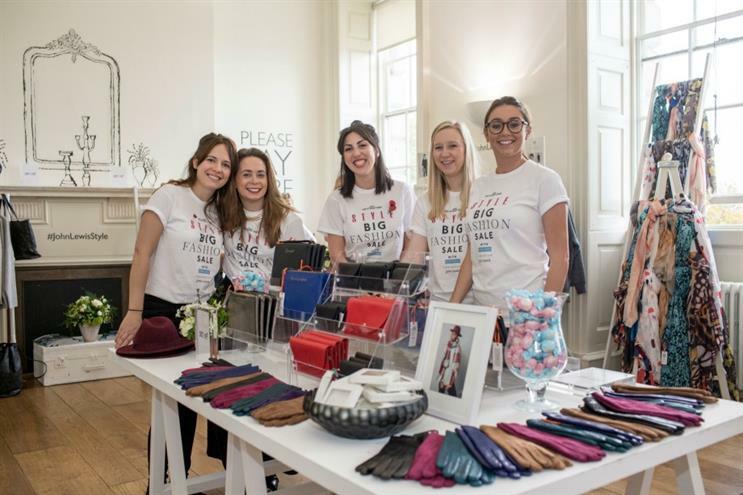 The sold out event will see 600 guests arrive at Somerset House for a chance to grab items from fashion brands such as Hobbs, Jigsaw and L.K Bennett, as well as the event's sponsor John Lewis, at a fraction of the original price. Guests can enjoy complimentary pampering, such as blow dries from DryBy, manicures from Juku nails and a beauty bar from Benefit. Pinkster Gin will invite guests into its bar, Bonne Maman will provide sweet treats and guests can enter a raffle for a chance to win items such as a Mulberry wallet, Burberry bag and an Elemis gift box. In addition, the event will celebrate the Sam McKnight exhibition, also talking place at Somerset House, with 60 VIP ticket holders having the chance to see Style’s head of fashion, Claudia Croft in conversation with Sam McKnight himself. Last month, the British Red Cross staged its 'Good Look Fashion Show' at the Old Truman Brewery in Shoreditch. In September, Mulberry put on a fashion show at The Printworks in Canada Water.